Is It Economically Viable To Restore A Classic Vehicle Yourself? The main reason why many classic car restoration projects at home fail is that most owners do not have the skills, experience and tools to do a perfect job. They are so keen on the idea of the project that they forget or over estimate their own abilities and skills. Restoring cars, whether modern or classic, require the expertise and skills of a professional. In most cases, home restoration projects result in hiring experts to fix mistakes that have been made. This ends up being more costly than paying a professional to do the job in the first place. Do you have enough time to undertake the project? 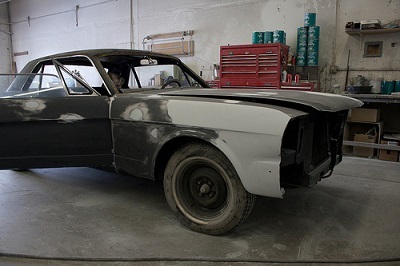 Car restoration undertakings often take much longer than what most people expect. Even for retired technicians, this sort of project can take a considerable amount of time. A lot of people begin the project enthusiastically but find themselves less than dedicated later on having encountered multiple issues. If you want to have the job done as quickly and expertly as possible, it might be sensible to use professional car restorers. Most classic car owners do not have the right safety equipment that is required for restoration undertakings. Not only this, even a garage workshop can be a risky place for the inexperienced and untrained car owners. The skin must be protected from abrasion, chemicals and heat. Eyes also need to be protected when performing any kind of restoration work. All of these basic safety precautions come at an extra cost. Unexpected costs are unavoidable when it comes to classic car restorations. This means you might wind up spending considerably more than what you had bargained for. For instance, tools you didn’t expert might have to be brought in, and then utilized only once. Purchasing the car restoration supplies also add to the overall costs. Depending on the type of a car you are hoping to restore and the level of restoration you want, costs will vary considerably.